This is a presentation by Scott Mills of Crime Stoppers International talking at the Wisconsin State Crime Stoppers Conference April 27, 2012 on the topic of social media for success and safety for Crime Stoppers programs. It was an honour to collaborate with international community partners in Wisconsin this week. Thanks everyone for the hospitality and for making a difference for the success and safety of our communities with Crime Stoppers programs. 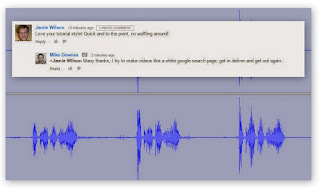 Special thanks to +Mike Downes for recording and posting this video, and +Robert Cairns +Jeff Brown +Henk Twit +paddy Legrand for participating in the Google Hangout... and every single person who was in the room, and listening from afar either live... or when they get the time to hear the message... Together we can make a difference.. Which is the most Scientific Sport of the Olympic Games? With just 90 days to go to London 2012 and with Science everywhere .. why not ask a tough question like this ..
How to start .. have a think about what matters .. nutrition, hand eye coordination, balance, what you wear on your feet, equipment, aero dynamics, stamina, skill or even fashion .. How are we going to agree a checklist that is fair to everyone? One way .. get some experts involved, talk to some Olympians or even get down to your local park and throw a javelin around .. cc who can help? +Kiki Sanford +Cadbury UK +Rebecca Adlington .. know someone .. leave a comment ..
Back to Basics for Me: Longer Form Writing about Media while Google Plus is for Simple Short Stuff .. 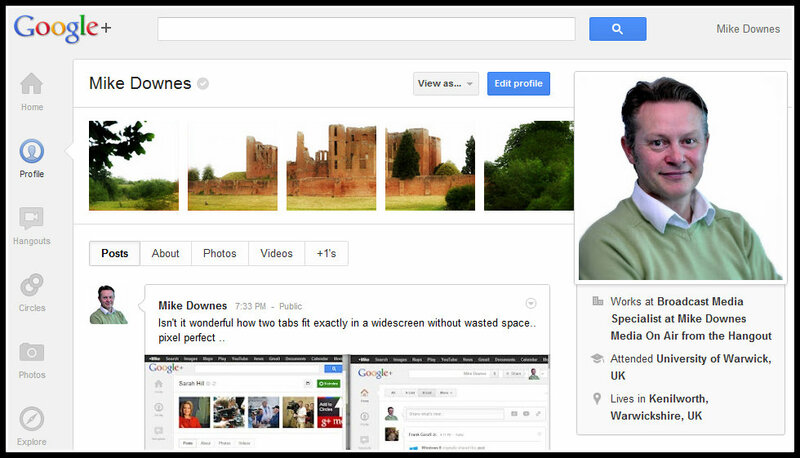 It's ten months since I threw myself into Google Plus. I don't regret it at all, it's taken me places I never could have imagined. This blog suffered as the posts ran dry, but with over 1,500 posts at g+ you knew where I was. For me, it's time to return here, but with a slant that keeps this blog growing, +Mike Downes growing and most importantly of all writing growing. Short posts are killing creativity. And those who do post to professional news blogs are sometimes writing drivel that is so dire that I think, sorry I know, I can do better. Back in the old days I was covering local news for Kenilworth and Warwickshire, UK (notice I put UK as I know this blog is read far and wide these days). The topics here will be wider, but all to do with the middle ground that is media. For those who don't know, I define media is a cat stuck up a tree and how it gets to be news a few minutes later. Maybe, a reporter turns up, maybe a film crew, maybe a kid with a smart phone and Bambuser or tweets it out. But get the story out they do. Anything that is a layer, a stepping stone, a middle ground is what I'm interested in. that's what I did as a teacher, took stuff passed it through me or the board and told the kids. that's what I do here. Only they seem to be grown up (in some cases). I ask obvious questions, get people to tell me stuff and react to it. why else have Google (and many others) come knocking on my door? I seem to be looked at very much as a Media Guy, that's fine. I was recently called a Broadcast Media Specialist. No idea what one of these is, but I happy to tag myself. 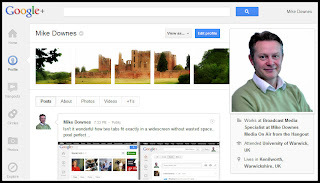 Google Plus is very much at my core, but the post format there is not great for longer writers. You cannot set any inline links (text which link to stuff), you cannot embed many photos in a stream and cannot post more than one mini video player. There is plenty you can do but it's just short. Back to g+ .. Let me leave you with a few g+ videos and links to the new design of Google Plus.. Watch There's More to Explore then see Google+: Set Up Your Profile, About Circles and Reading and Responding .. Totally Unedited to Watch Again .. An Epic Hangout from +Mike Shaw +Alan Shapiro and+Mihailo Radičević .. Hilarious fun ..
Mike, Alan and Mihailo are three photographers with over a million followers each at Google Plus. They are three people who met on g+ last summer. This is the first time they have hungout in public, LIVE and On Air. This is what happened. In the original post, the show generated 156 comments, 19 people attended. Look out for Vivienne Gucwa (also 1 million +) and Natalie Villalobos, Google Community Manager. There were five verified g+ users in this hangout, it's already being labelled as the best there has been. See for yourself.